Before you decide which saw would be the right pick for you, you must first know the kind of job you would like the saw to perform. Different saws serve different purposes; some are used to cut curves, others are used to cut shapes, and some are used to cut through metal. There are no such things as one size fits all when it comes to picking the right saw that will do the job perfectly. The size of your budget will play a crucial role in determining the kind of saw you decide to pick. It is generally true that better quality saws will cost a few more dollars compared to poor or second-hand saws. In case you’re looking for a saw that will do an excellent job for the work you have planned, it is wise to dish out a few more dollars and get a new high quality saw that is guaranteed to get the job done flawlessly and last longer. It is also wise to spend some time researching the current market prices to avoid being ripped off. The type of work you would be performing weighs heavily on the type of saw you would use. For example, if you’re planning to perform straight cuts say at 45 degrees angles, you would purchase a different type of saw compared to if you wanted to cut out curves or irregular shapes. Similarly, if you’re working on a project with tight spaces, you will need a different type of saw compared to if you’re working in an open space. There are different types of wood out there. Different saws are ideal for the different types of wood. If you’re looking to cut through softwood, you would best use a saw that has bigger teeth. On the contrary, if you’re planning on cutting through hardwood, it is best to pick a saw that has small, narrow teeth. Not all saws are made from the same material. For example, there are brass, steel and diamond saws. Saws made of brass are intended for light duty work because brass is easy to bend and can fracture easily. Steel saws can perform cuts that require more force, whereas diamond saws are ideal for heavy-duty work. 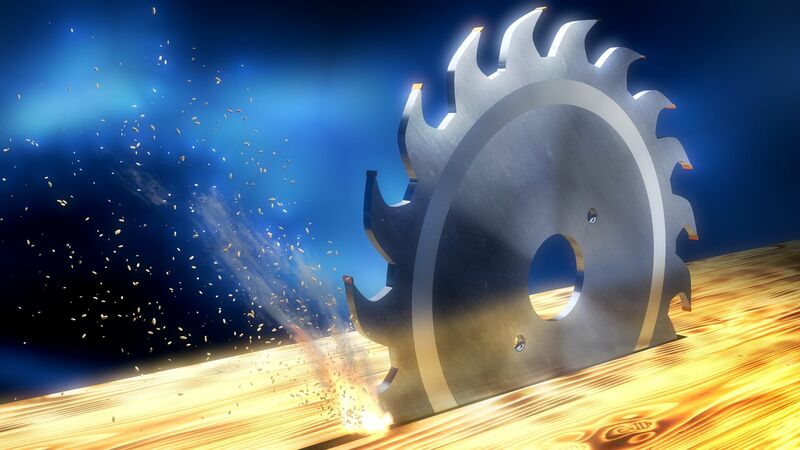 There are various kinds of designs of saws. Some are powered by electric motors whereas others are hand held. The best type of saw design to select ultimately depends on the type of job you will be performing. Power saws come in handy while doing heavy duty tasks that require more precision and shorter time compared to hand saws. How smooth you want your surface to be, will determine the type of saw you select. A saw with narrow blades will help to achieve a fine, smooth cut with each stroke leading to a smooth surface. On the other hand, if you’re looking to give a rough edge to your surface, using a saw with big blades will do the job. It is not always consistent that the quality of the blade will go hand in hand with its price. This is why it’s essential to pay close attention to the quality of the saw blade when purchasing one or when picking which saw to use for a project. It goes without saying that a high quality saw blade would do a better job than a poor quality one. It is also easy to tell the difference between the two; a high-quality saw blade is rust resistant, able to withstand the force and stays sharp longer. Selecting the right saw for the job requires that beforehand, you know the kind of job you would like to be done. You should also know the price, material, and design of the saw. Once you have all these factors in mind, you can then make an informed decision and pick the right tool for the job. Are Wood Doors Better Than Fiberglass Doors?